Aloha! The State of Hawaii has a bold energy agenda – to achieve 100 percent clean energy by the year 2045. Along with reducing our islands’ dependency on fossil fuels and increasing efficiency measures, the clean energy plan is also contributing to the state’s economic growth. Because Hawaii is committed to re-powering the clean energy market, we have embraced bold solutions that will help develop this competitive industry making Hawaii one of the leaders in the clean energy race. 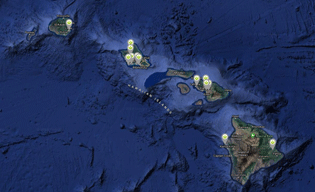 The Hawaii State Energy Office is leading the charge and has embarked on a strategic plan to position Hawaii as a proving ground for clean energy technologies and accelerate our transformation to a clean energy economy. 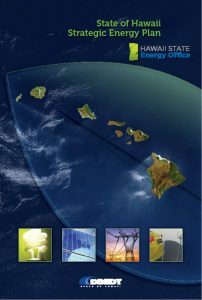 The Hawaii State Energy Office is pleased to share our new brochure, State of Hawaii Strategic Energy Plan. 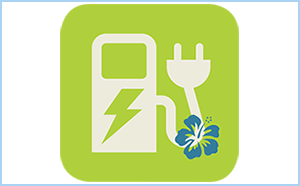 This informational piece gives an overview of the state’s four strategic goals: promoting energy efficiency, diversifying our energy portfolio, establishing a 21st century grid, and accelerating clean transportation. The 2019 Green Hotel Forum was held in January at The Kahala Hotel & Resort. The event, co-sponsored by the Hawaii Lodging & Tourism Association’s Engineers Advisory Council and the Hawaii Green Business Program, brought together hotels, resorts, and other stakeholders to share their green initiatives including: energy and water conservation, recycling, composting, pollution prevention and community and cultural engagement, as well as programs to support energy retrofits and conservation.